The Woburn Sands Neighbourhood Plan was the first such Plan in Milton Keynes. It was formally adopted by Milton Keynes Council in July 2014 following approval in a Referendum of Woburn Sands’ residents in May 2014 when 90% of those voting approved the Plan. The Plan is a formal planning document the provisions of which have to be followed in determining any planning applications. Neighbourhood Plans were introduced following the Localism Act in April 2012. They are required to be consistent with the relevant planning authority’s statutory plans and the National Planning Policy Framework (NPPF). 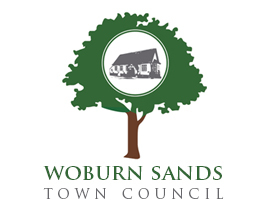 In the case of Woburn Sands the relevant local policy framework is set out in MKC’s Core Strategy, approved in July 2013. The process of preparing the Plan is set out in Section 2 of the Plan. During the initial local discussions it was suggested by a number of organisations and individuals that the plan should cover the wider Woburn Sands area (ie to include the parishes of Aspley Heath and Aspley Guise) since residents of those parishes regard the Woburn Sands High Street and facilities as their “centre”. It was decided not to attempt to do this since those parishes lie in Central Bedfordshire whose planning policies are different from those of Milton Keynes; the provisions of the Woburn Sands Plan were however discussed full with those Parish Councils (see para 2.5 of the Plan). No consultants were employed in the preparation of the Plan – the work was led by the Woburn Sands Town Council who worked closely with Officers from Milton Keynes Council. As the first Plan in the MKC area it attracted considerable outside interest – indeed the Minister responsible for Neighbourhood Planning visited Woburn Sands to learn how the Plan had been prepared. The Plan will be reviewed in 2019, or as soon as PlanMK (the replacement of the MK Core Strategy) is approved.